The lawyers, Joseph Cotchett and Mark Molumphy of Cotchett, Pitre & McCarthy, repeatedly referenced three Apple documents marked "Highly Confidential -- Attorneys' Eyes Only" during a public hearing on March 7, according to a filing with the U.S. District Court in San Jose. Apple company further argued that in response to a letter, Cotchett "deflected blame, misrepresented the factual circumstances, and threatened his own sanctions motion based on Apple's confidential designation of the documents." They were ruining everything. Stealing data & abusing practices. They ruined my family. Care to elaborate on who you are talk about? It always amuses me how one can see a feature that maintains the operation of the device, in spite of physical inevitabilities, as planned obsolescence. That would be the exact opposite of obsolescence, and yet here we are. Bad article title. Typos in article. Sigh. Proving once again that downvoting would be useful on this site. The judicial system is getting violent. Are you one of the people suing Apple for keeping your iPhone from shutting down? Should have notified your consumer base before making changes you thought were great for them. Some people actually like making their own decisions, Apple. The beauty of that thinking is likely what convinced Apple to go ahead with the idea.... is there any more clever way to motivate non-die hard customers to upgrade their phones? You create a feature that slows the device down in a fashion that pushes said customer towards an upgrade, but rest comfortably with the notion that you've done them a service by "preserving" the longevity of the device. 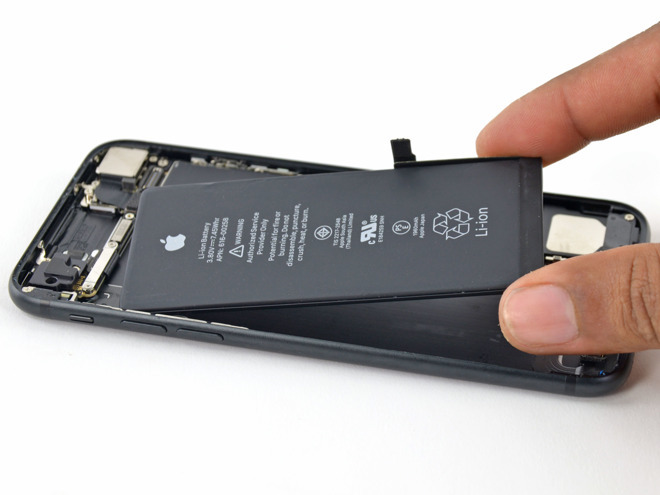 "Hey guys, we quietly slowed your phone, but never really mentioned that it just required a new battery... why not just get a new phone? That thing you have is now all old and slow.... I mean, it still works, which is testament to Apple quality, but it's slow now because of all of the progress that's been made in iOS.... how about a fresh new iPhone X to get back in the swing of things?" Apple played the virtue card, but I suspect that with the realization of longer upgrade cycles that they knew what they were doing. I'm a fan of Apple products, but after my own battery throttling experience, I'm not naïve. The beauty of that thinking is likely what convinced Apple to go ahead with the idea.... is there any more clever way to motivate non-die hard customers to upgrade their phones? YES! Have millions of iPhone constantly shutdown whenever they do anything resource intensive.